It always startles me when I open a website and hear music. However, I was checking out other blogs and came across one with the greatest upbeat music, so…I added a playlist to mine! 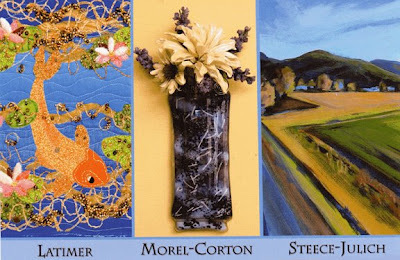 The next Art&Soul artist opening is August 1st from 7:00 to 9:00 and will feature art from Hilary Latimer, Cydney Morel-Corton and Clare Steece-Julich. As soon as I get some photos back of my newest piece, I’ll post it. You’re welcome to see it at Art&Soul Studios in Mebane!